virender sehwag | Make Time For Sports. “If you talk of Greg Chappell’s cricketing knowledge, it is superb. But when it comes to man management, absolutely zero. Two giants of Indian cricket quit the game within a week of each other. One accumulated over 300 Test wickets, only the second Indian fast bowler to do so. The other is the only Indian to have scored a triple ton in Tests, not once but twice and it could easily have been one more. One was a canny operator outfoxing the best of the opposition with his wily wares. The other kept it simple. The ball was meant to be hit when it was in the hitting zone. Both are 37 years young and can still pad up for a fresh innings in the journey of life. One has retired from international cricket but will continue to appear in the IPL. The other has retired from international cricket and the IPL but may make an appearance at Sachin Tendulkar’s T20 All Star League in the US. He celebrated his departure by slamming a century against Karnataka for Haryana in a Ranji trophy game. One was instrumental in India reaching the final at the 2003 World Cup in South Africa and clinching the title in 2011 at home. The other was a member of both the 2007 T20 World Cup and 2011 ICC ODI World Cup winning squads. They are both modest and soft-spoken to the point of being self-effacing. One is still single and obviously a catch for any young woman. The other is married to Aarti Ahlawat and has two sons Aryavir and Vedant. One promised—in his retirement statement—to return with the headline ‘Zak is back’. The other quoted Mark Twain claiming that stories of his retirement were greatly exaggerated. Indian cricket will surely miss them. Zaheer Khan and Virender Sehwag, farewell, adios, sayonara. "No, I was only on 30 at that time. So, I did not." Suresh Raina, unlike his batting partner Virender Sehwag, preferred not to make a song-and-dance of his modest score—in comparison. Raina was replying to a query whether he joined his illustrious senior in humming Kishore Kumar melodies during the Delhi blaster’s record-breaking 219 at Indore. "He was playing very well with no tension. That day, he was singing some Kishore Kumar songs. He was not feeling any kind of tension." The young southpaw was addressing the India Today Youth Summit. "I’m very tired because I’m a 33-year-old. I’m an old man and my back and glutes are tight." 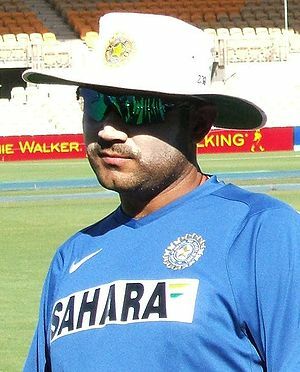 Virender Sehwag excuses himself from fielding after scoring an epic 219 in the fourth ODI against West Indies at Indore. Everybody was expecting me to score a double hundred and I think I lived (up to the) expectation.. Whenever I wanted to hit a ball, I hit into the gaps and it went for four. Whenever I wanted to hit a six, I just tried to hit it with a straight bat. I was telling myself and Gautam Gambhir that if we batted with a little patience, we could score a big one here. 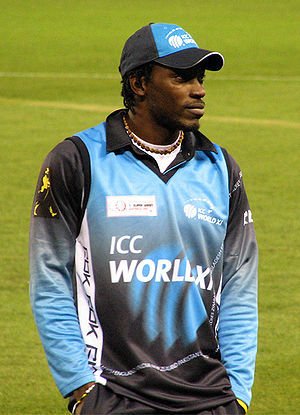 Sehwag was grassed on 170 by his West Indian counterpart, Darren Sammy. Chris Gayle congratulates Virender Sehwag on his marauding knock in the fourth ODI against West Indies at Indore. Sehwag’s double ton is the highest individual score in the 50 over format. Sachin Tendulkar held the previous record having scored 200 against South Africa at Gwalior.